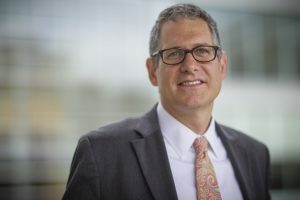 UNC Lineberger’s Ethan Basch, MD, MSc, professor in the UNC School of Medicine Division of Hematology/Oncology and director of the UNC Lineberger’s Cancer Outcomes Research Program, was a contributor to a white paper for the Friends of Cancer Research. Basch and the working group behind the paper developed a working definition of “tolerability” to better capture the patient experience. UNC Lineberger’s Ethan Basch, MD, MSc.